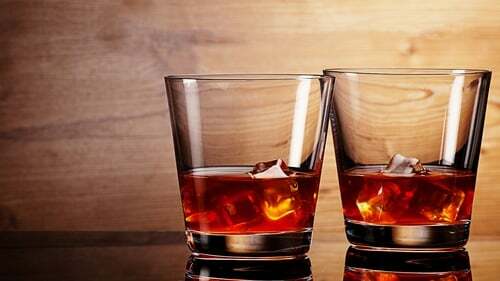 After an 8% rise in the value of Irish drinks exports to €1.5 billion further growth is expected this year with whiskey and gin brands likely to lead the way, according to the Alcohol Beverage Federation of Ireland. The ABFI, the representative group for drinks manufacturers and suppliers, publishes its annual outlook today. Patricia Callan, the Alcohol Beverage Federation of Ireland's director, said that consumers have an "absolute fascination" with gin - both at home and abroad - and for the first time, the industry has the opportunity to create an Irish global gin brand. She pointed out that over 30 Irish gin brands are now on the market and gin exports trebled last year. But Irish whiskey is the product which is really leading the way for Irish drink exports and it is now the fastest growing spirits brands in the world. Irish whiskey can only be produced in Ireland, she added. The whisky market is a "huge pie to eat" and Ms Callan said that Scotch makes up 50% of the global market, while Irish whiskey only makes up 5% - so there is huge potential for growth. The industry has also seen huge levels of investment and just four years ago, the country had four distilleries. It now has 18 with a further 16 in the planning stages. While Brexit will be a feature of the Irish drinks market, Ms Callan said the industry is much more diversified than other sectors with 130 markets globally - including the US, Canada, Japan as well as European markets in Germany, France and the UK. Ms Callan said that the biggest cause of concern for drinks companies would be the currency risks - in common with other industries - and the issue of the border. Many of the larger drinks companies run their supply chains across the Northern Ireland border, she explained. Patricia Callan said the group, while supporting the objectives of the Public Health (Alcohol) Bill, finds some aspects of it worrying. She said the bills needs more balance as a piece of legislation. As part of the bill, the Government is proposing to introduce health warnings on all alcohol products sold in the Republic of Ireland. This includes a cancer warning on alcohol products, which Ms Callan said would put huge additional costs on producers. MORNING BRIEFS - Publicly quoted Irish builder Glenveagh has announced the acquisition of two sites in Dublin which between them are capable of delivering 395 residential units. One is a site at Citywest Road in Southwest Dublin. The other is land occupied by Hollystown Golf Club in northwest Dublin. In a statement, Glenveagh chief executive Justin Bickle said its entire landbank now has capacity to deliver 5,000 units at an average cost of €61,000. *** For the fifth year in a row the numbers employed by companies in the Gaeltacht rose. Figures published by Údarás na Gaeltachta show there was a net increase of 155 full-time jobs at its client companies last year. According to the state body, 2017 was the first year since 1996 that there was an increase in employment levels in every Gaeltacht county. *** Fuel prices at the pumps are little changed this month from the two year highs hit in December. January's AA fuel prices survey puts the average litre of petrol across the country at 138.2 cent - down 0.1 cent since December. Diesel prices averaged 127.3 cent during the month compared to 127.1 cent last month. *** The UK's Financial Reporting Council has opened an investigation in relation to accounting firm KPMG's audit work at collapsed builder Carillion between 2014 and 2017. In a statement, the FRC said the investigation will include how the company recognised revenue on large contracts in its accounts and accounting for pensions.